Remnants of Hurricane Sandy raked the Island in 2012. Say a major hurricane tears across Martha’s Vineyard and the Cape next month, causing a days-long power outage and cutting off access to the hospital on Beach Road or to Aquinnah at Hariph’s Creek. Or say there is a major disease outbreak and everyone on the Island needs to be medicated at once. Say a forest fire burns through the state forest or violence breaks out during the fireworks in Oak Bluffs. It’s up to the Island’s emergency planners to think about those scenarios, and they are as passionate about their work as they are frank about its limitations. Topping the list of possible worst cases is a summer hurricane. As hurricane season enters its peak this month, that scenario is on the mind of emergency planners. The Oak Bluffs School is the designated emergency shelter on the Island. Cots, meals ready to eat (MREs) and sanitary supplies to furnish the shelter are stored in town hall basements, storage rooms in fire and police departments and emergency trailers. There are enough supplies to support between 130 and 150 people for a span of three days at the regional shelter, according to Mr. Robinson. In the event of a summer hurricane, not everyone on the Island would need to be sheltered, but the significant tourist population would be particularly vulnerable. In that scenario, a main priority would be evacuation of visitors and discouraging vacationers from making the trip ahead of the storm’s arrival. “The big thing with this time of the year is, if we did have something we knew was going to impact us, getting the information out to people and having them leave the Vineyard to have them be safe,” said Oak Bluffs fire chief John Rose, who is the town emergency manager and part of the Island emergency management group. But mass evacuation to the Cape presents its own challenges. Kurt Schwartz, director of the Massachusetts Emergency Management Agency (MEMA), said statistically hurricanes strike the Cape and Islands once every 13 to 15 years, and since it’s been 26 years since Hurricane Bob barreled through the Island, the Vineyard is overdue. “It’s a matter of when, not if, the next hurricane is going to hit southeast Massachusetts,” he told the Gazette. For Islanders, sheltering in place continues to be the most realistic option. Island emergency managers said their primary focus going forward is educating people about how they can prepare. In discussions about how to get the word out and creation of an information campaign, the committee has identified a lack of representatives fluent in Brazilian Portuguese who can reach Islanders who do not speak English. “We have brought that up, and we’re talking about that because of the Brazilian population on the Island,” Mr. Robinson said. Despite the daunting prospect of the worst-case scenario, emergency planners are equipped to handle most of the situations the Island faces, and their services have amounted to a critical safety net for many Islanders. The Dukes County emergency management group includes emergency managers from each town and meets monthly to hash out disaster response scenarios. 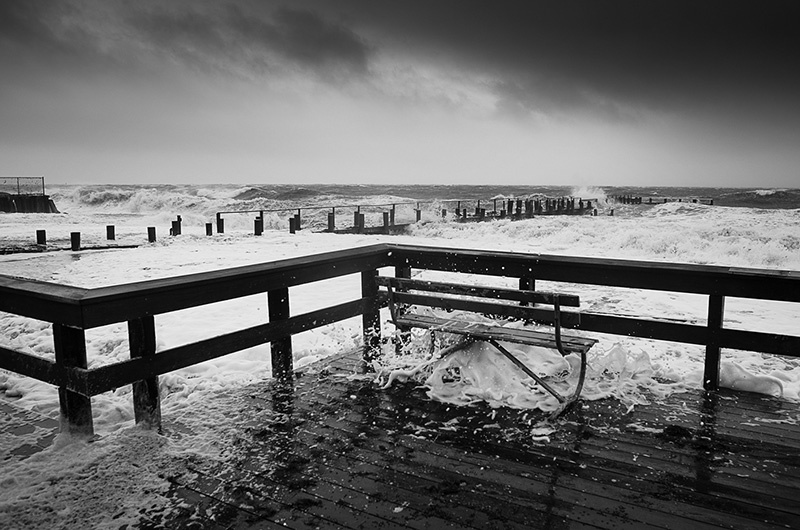 Speaking with the Gazette, John Rose outlined the checklist he goes through when he is alerted to the approach of a major storm, whether it is a hurricane or a winter northeaster. The list includes checking that all the town’s emergency generators and response vehicles are fueled up, making sure chainsaws are in working order so they can be used to clear roads, and making sure the dumpster at the Oak Bluffs School has been emptied in case the shelter needs to be opened. He contacts the highway superintendent, the harbor master and other emergency managers. He coordinates with the R.M. Packer company to have a fuel truck available at the shelter too. “A significant portion of my day is trying to be as prepared as you can be,” the fire chief said. Marina Lent heads the Island’s medical reserve corps unit, a group of trained volunteers, many of whom are current or retired medical professionals, committed to assisting with medical care in an emergency situation. She is also part of the emergency preparedness cohort and attends the monthly meetings. She said in emergencies, hospitals quickly become overwhelmed. “The whole point of the medical reserve corps is, to the extent possible, to take care of people medically so they don’t end up having to go to the hospital,” she said. Ms. Lent also heads the Island’s disaster animal response team (DART). The DART program has its own emergency trailer specifically for providing the resources to house pets in the Oak Bluffs shelter. Aside from natural disasters, Ms. Lent said her team is also working to be prepared in the event of a major virus outbreak or health issue. She said she plans to work with the medical reserve corps, the hospital and Island police to coordinate a table-top exercise for distributing medicine to the entire Island population in a short time without exposing people to each other. Other non-governmental units on the team include the Island Red Cross, headed by Ilona Metell, and the Salvation Army, led by Rick Reinhardt. Many of the town’s representatives come from police and fire departments. For the preppers, there is always more planning to do, funding to seek and training to acquire.